Anyone who has experienced severe to moderate pain can know that the pain can be truly debilitating, as in some cases it can can really interfere with your daily life and ability to think clearly. Dr. Mitra has extensive experience treating a variety of pain ranging from neck pain, back pain, shoulder pain, wrist pain, elbow pain, arthritis, and much more. Acupuncture reinvigorates blood circulation which brings nutrients to the injured zones, relaxes the muscles, and reduces any inflammation. The insertion of needles will activate the release of endorphins which will relax you, and alleviate any swelling or pain. Find relief from chronic pain our Beverly Hills acupuncture pain management. I offer my heartfelt thanks for the acupuncture treatments that I received from you for my neck and low back issues. I am feeling so much better! You are kind and I am grateful to you- Thank you! I am a 43 year old Administrative Technician from the City of Compton. I originally met my Acupuncturist, Mitra, through my doctor’s office as a result of a work related injury and work related stress. I had been treated by a Chiropractor as well as massage therapy for my pain. I was also on pain medication however nothing seemed to help. 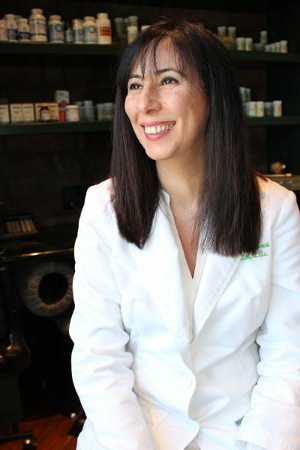 I was very reluctant to go through with acupuncture because of the fact that I had never had it done and I was extremely scared of the idea that I was going to be stuck with needles. I was scared and almost left the office without treatment however Mitra assured me that she would not hurt me. On my very first treatment I was treated for my neck and back. As I lay down, she placed the needles accordingly and told me she would be back to check on me in 20 minutes. I asked her if the needles were in and she said yes! I never even felt it! After the treatment I told her that I could do this and looked forward to my treatments every week! It was amazing how much better I felt after each treatment. I would go in with neck, back, shoulder, hand and wrist pain and when she completed the part of my body she was doing that day I did not experience any pain at all! Not only was the acupuncture a successful treatment, Mitra was so comforting and soothing, she made everything all right! The doctor’s office where she was working closed down; therefore I could no longer receive treatment. I was so happy to hear she has her own office because even though I did not have to pay due to the fact that it was a work related I have no problems paying now because I know I am guaranteed to feel better! Mitra is very caring and takes great pride in helping to make you feel better. I would recommend her to anyone! Acupuncture is something I was always afraid of and never believed in, but thanks to Mitra I feel like myself again!